QuickTime is the multiplatform player by Apple, thanks to which we can play MOV, QT and HDMOV files on our PC. But if we want to do without the installation of an extra player on our computer or we only want to watch MOV files, we can choose to install QuickTime Alternative. 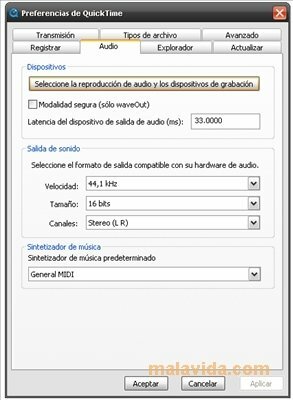 This option installs all the components (mainly plug-ins for the browser and DirectShow filters) necessary to be able to do without Apple's program, making it possible to watch films from our favorite player or Media Player Classic (included in the installation pack), that is a lot lighter than QuickTime and only has the basic multimedia file players, as well as support for a large amount of codecs and different formats. 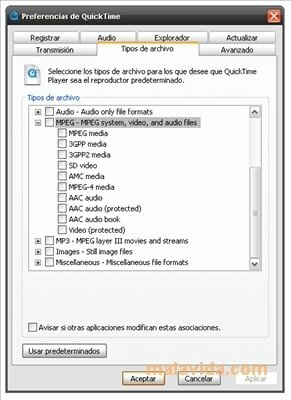 If you don't want to install QuickTime on your computer, but you want to enjoy all the files that you can find over the web with the MOV extension, don't think twice and download QuickTime Alternative now.